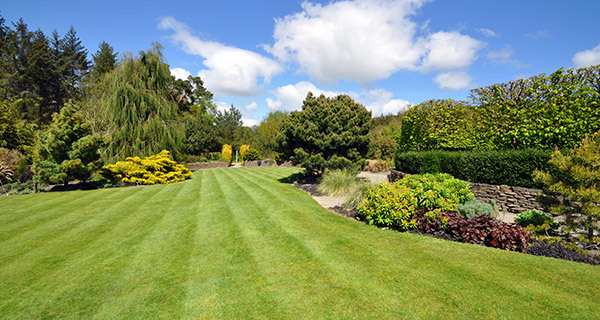 Over the past 12 years, Cutting Edge Landscape has grown from a small owner-operated company with 5 residential clients into one of Eugene’s premier landscape maintenance companies. Our primary goal from the very beginning has been to take care of our clients at all costs. We are continually working on methods and practices to enhance the value that our landscape maintenance clients receive as well as investing in our employees with ongoing training. One thing that sets Cutting Edge Landscape apart from other maintenance companies is the fact that our maintenance crews keep very close track of their time spent on our accounts as well as the work that is completed for each visit. It not only keeps our employees accountable for their work, but it also allows our management to monitor fertilization, trimming and/or any special notes or issues that may be related to the property. These log sheets are turned in daily by our maintenance crews and are evaluated by management. Cutting Edge Landscaping is also aware of the various micro climates and cultivation conditions that exist within Eugene itself. For instance, we know that if you live over by the wetlands, you’re going to have a bit more surface water in your yard than those living in the city’s northern hills. 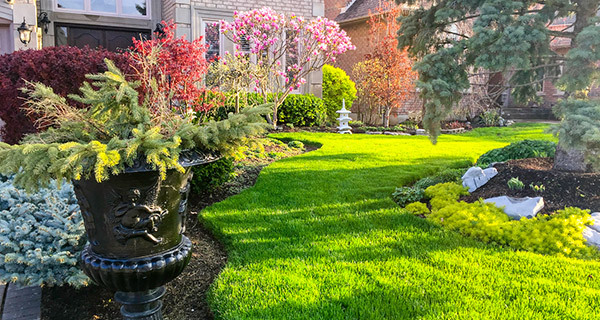 Even a slight increase in available natural water can make a difference when developing an effective yard maintenance plan. We also know which noxious weeds to be on the lookout for. Another thing that makes us one of the best yard maintenance companies in Eugene Oregon is that we’ve got a true passion for plants and an authentic love for the unique natural ambiance of the Pacific Northwest. We know when your tulips are going to bloom, when your pansies are going to flourish and when your maple is going to begin to drop its leaves. There are dozens of factors that can influence your plants and your landscape. We are experts at identifying those factors and ensuring that necessary measures are taken to keep your yard looking its best. We are committed to being a company that is not only a great place to work, but also provides our clients with expert knowledge & communication. Our employees take a huge amount of pride in their work and it shows. From small backyard clean-ups, to full scale property renovations Cutting Edge Landscape has you covered.